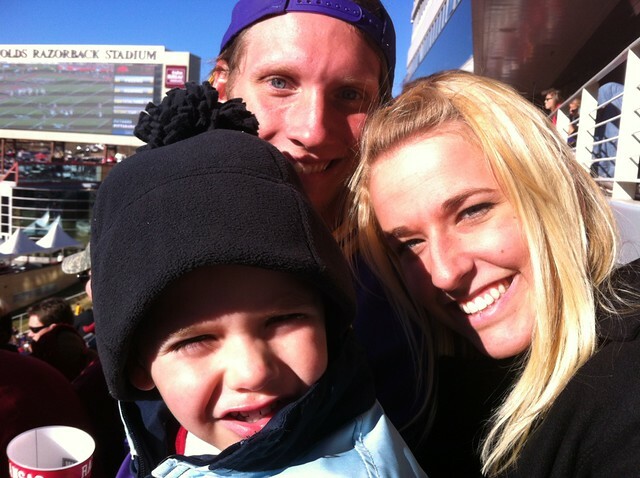 I previously mentioned that Brayden got to go to the LSU/Arkansas game with my sister and her boyfriend. I had accidentally deleted the pictures she sent, so I am just now getting these up. 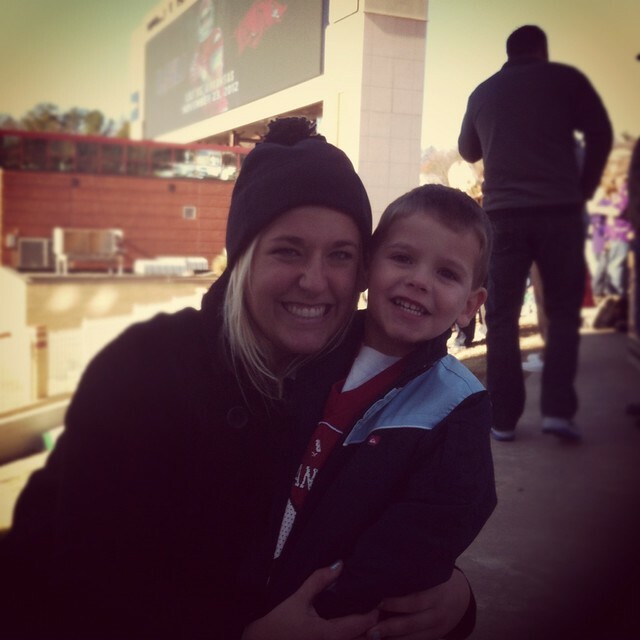 The one plus side of the Hogs having a crappy year is that tickets have been free/cheap, so Brayden has gotten to go to 2 games. 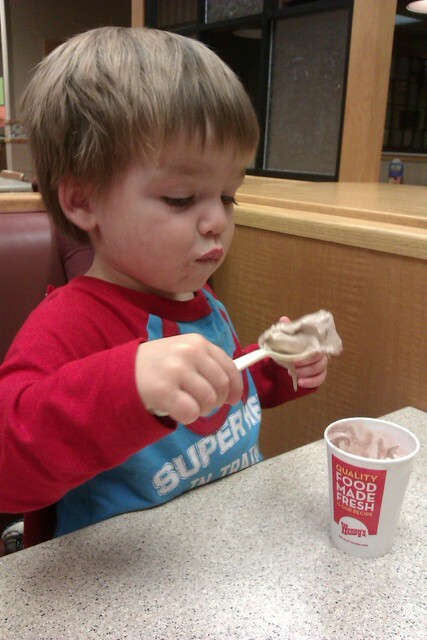 He LOVES it, and often talks about how when he gets really big that he'll play there too. 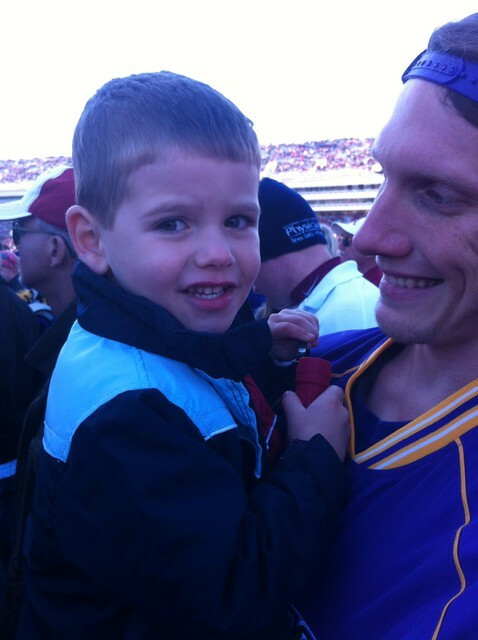 Brayden LOVES Jacob. Also, please note the flashlight Brayden brought to the game. With his Aunt "Wawa". He loves her too! 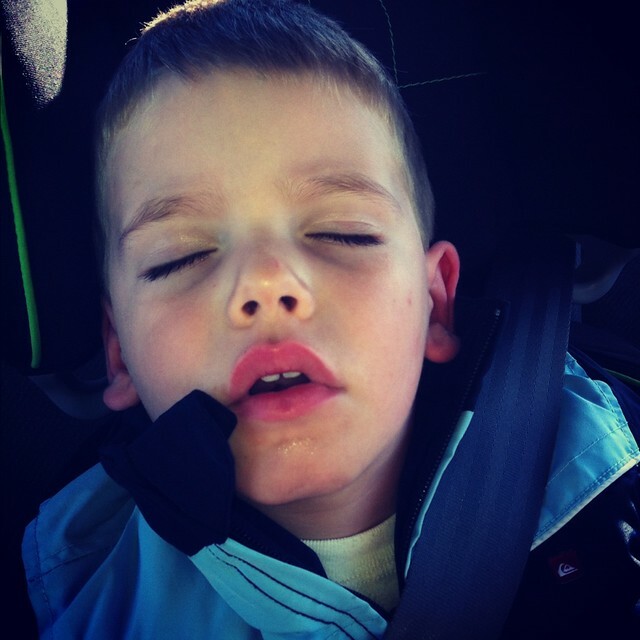 They only stayed 1 quarter at the game, and he still crashed on the way home. Football games are exhausting! The boys often pretend to be animals together. This day they were snakes, slithering through the jungle my kitchen. 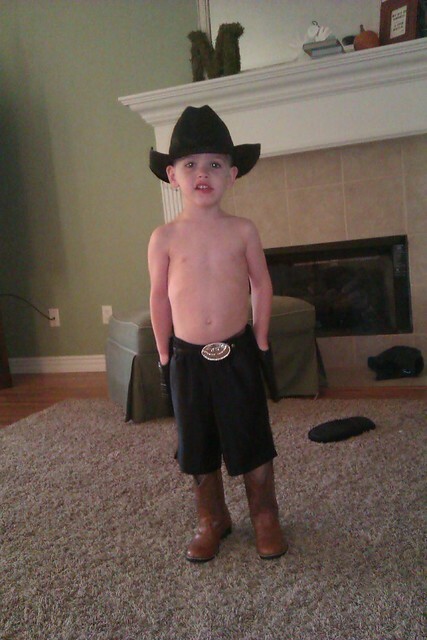 Brayden loves to play dressup. On this particular day he came into the living room all proud of himself. I have titled this picture "ghetto cowboy"
Connor loves to grab my hat off my head and say "no, my hat!" 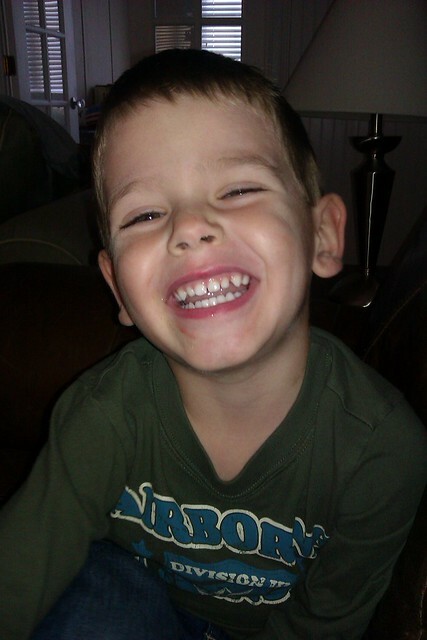 then he laughs really hard. No idea why he thinks it's so hilarious, but it's so cute! 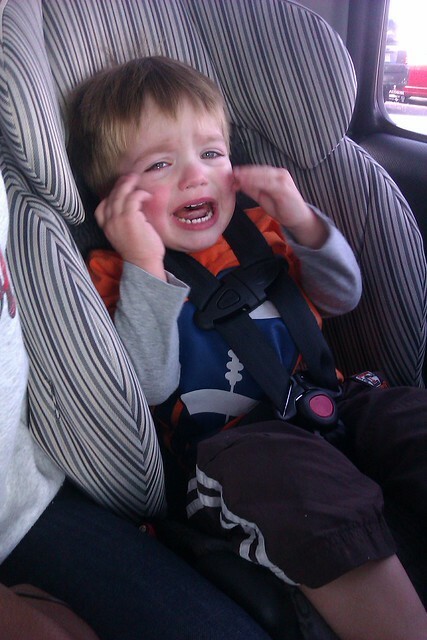 Brayden was mad at me for something. I can't remember, but this picture just cracks me up. The boy has some attitude like you wouldn't believe! 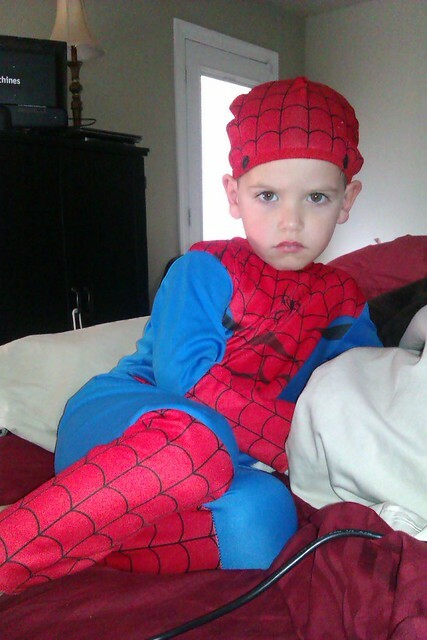 Also, if he gets mad at me while he's dressed like Spiderman, he will turn around while running away from me, and shoot me with his webs. It's equal parts funny and maddening. This happens a lot when we are trying to get him in the car. He'd much rather run through the parking lot dodging moving vehicles. I'm such a mean mom for not allowing that to happen, obviously. 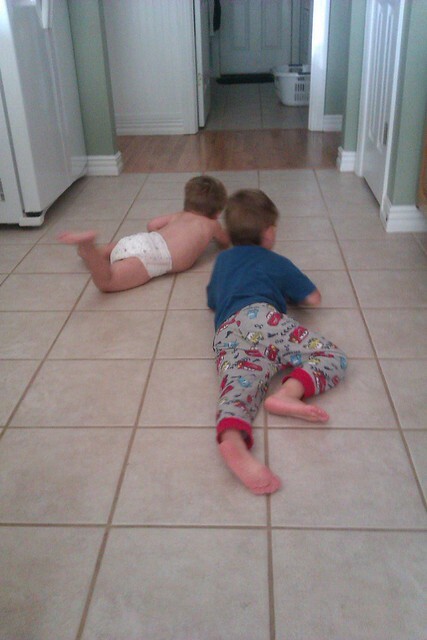 The boys have been fighting the crud for the past week or so, and one day we had a movie marathon. 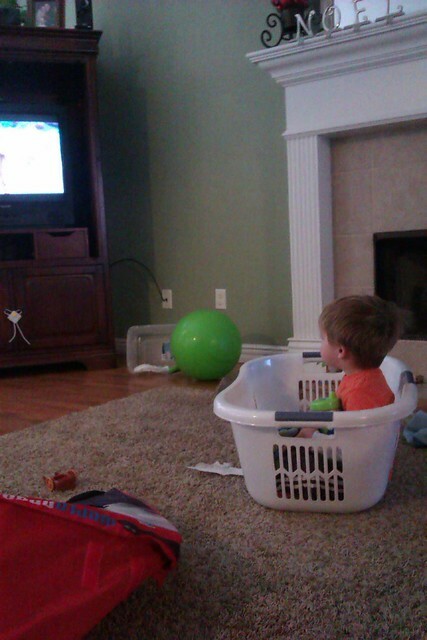 Connor requested Nemo, and then set up a little seat area in the laundry basket in the middle of the living room. He sat there like this for atleast 30 minutes. 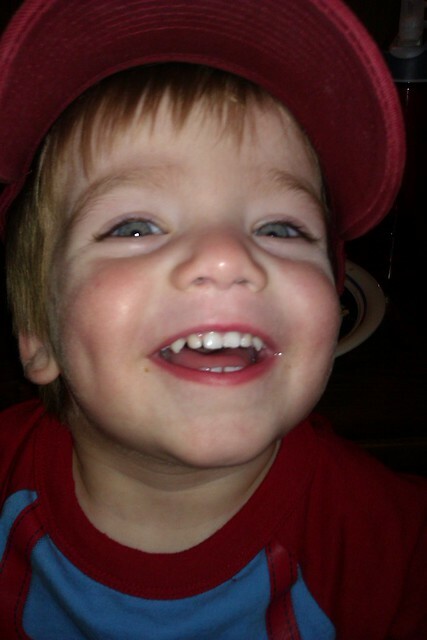 this boy. 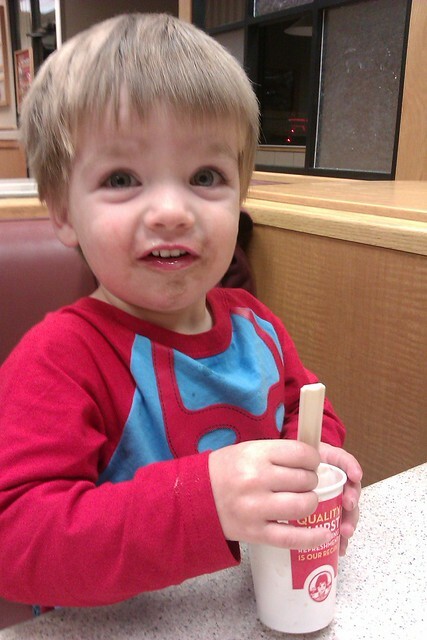 Man, he can drive me nuts sometimes, but then I see pictures like this, and my heart just melts into a million pieces. 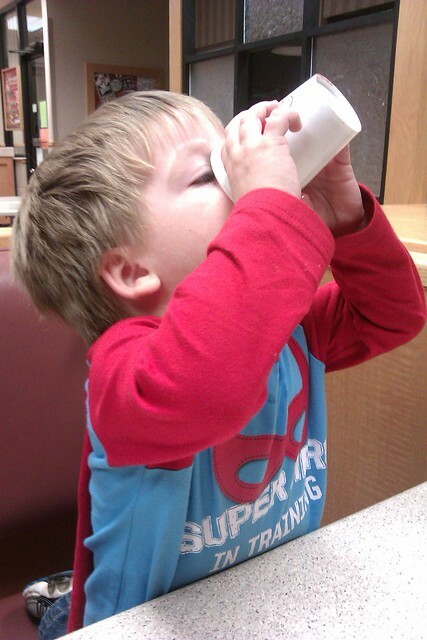 So glad that God chose me to be his mom. 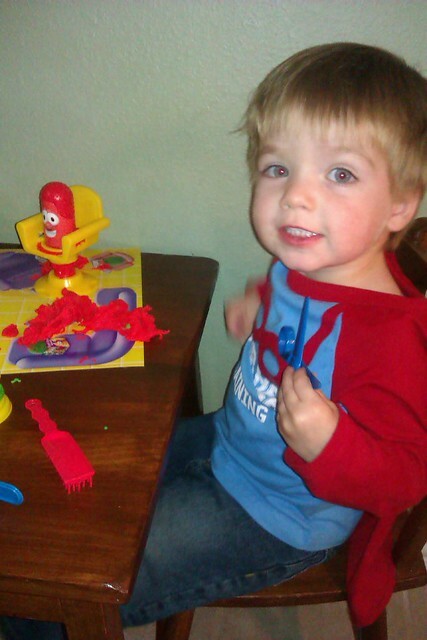 He has my heart, that's for sure!